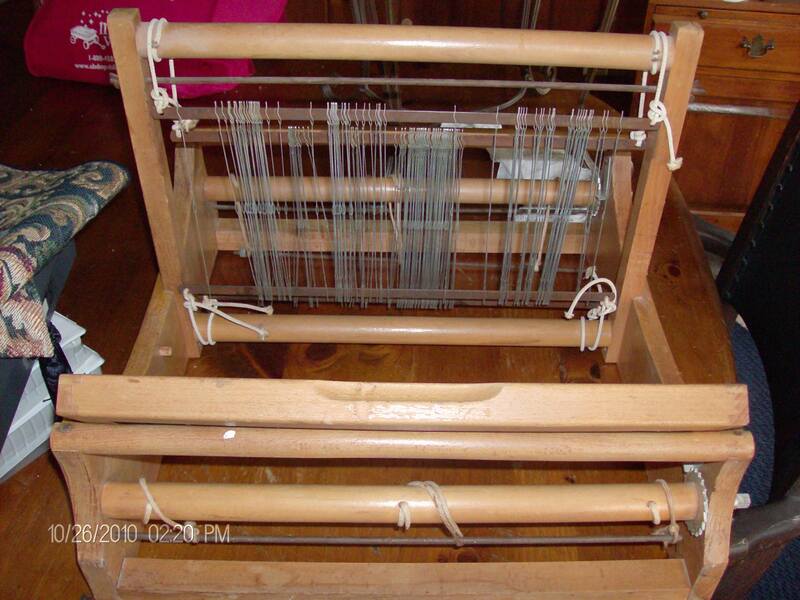 I’m on my first viewing of my DVD Warping Your Loom by Madelyn van der Hoogt and I’m enjoying immensely. She is literally starting from the beginning and explaining everything in language that I, a novice, can understand. I know that this sounds somewhat simple for an instructional DVD, but I’ve run across others on other topics that tend to talk above the viewer. I’m sure it’s not intentional, and I know that I have to rethink my wording every time I start teaching another group because we all tend to forget steps we’ve done a hundred times and has become rote. I think I shall watch it a few times before starting my warping. It’s been this long, I might as well be completely comfortable when I do it. Also I have to get my warping board mounted to the wall. Such a minor thing, but it solves the sore back muscle issue nicely. The first lesson I’ve learned from this is to go to a professional and a visual one if possible. Yesterday we had our first substantial snow of the year and it made for a cozy afternoon to be inside with this DVD and some yarn. I don’t seem to be able to just sit and watch TV or listen to a show without doing something, so even while I was watching this wonderful warping DVD I was knitting a fingerless mitt. The yarn is Kraemer’s Tatamy Tweed cotton/acrylic blend. I chose this yarn for durability and I think that I will be able to work more comfortably in these than the alpaca mitts I made last month. 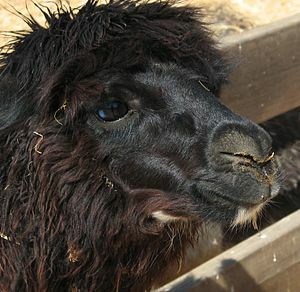 I love the alpaca. The color is a deep rich brown and they are incredibly soft and warm, but I would prefer to wear them for reading than working because they are just too luscious to ruin. They have made a much bigger difference for me than I expected. 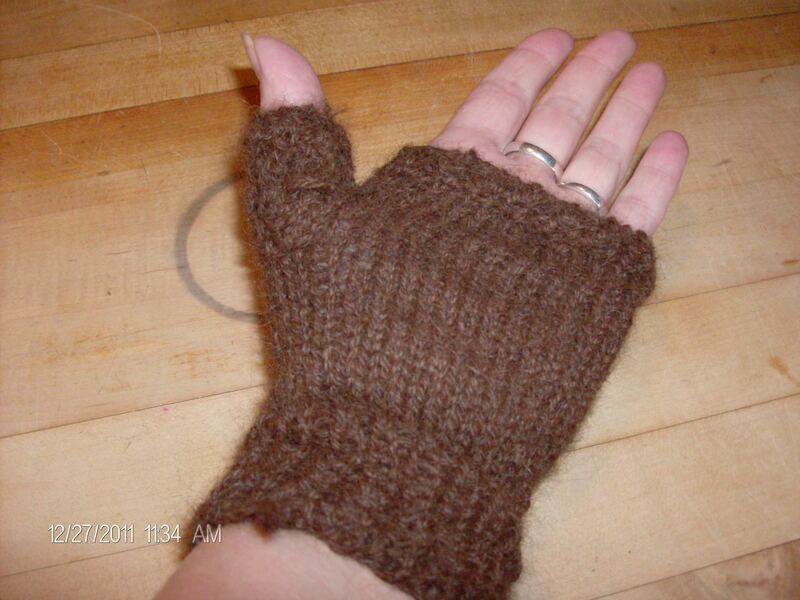 My hands are much happier warm than not and winter will be winter in New England. I clearly need to get a hand model since my arms are too short for not only reading, but for modeling my own gloves and mitts. This yarn I bought from an alpaca farm near me and I am hoping to visit there soon. I like the idea of using locally grown and/or bred merchandise. Another of my winter projects is to find other sources of yarn and fiber within my state. I don’t think this will slow down my other yarn purchasing, but I think we should try to support those around us as best we can.